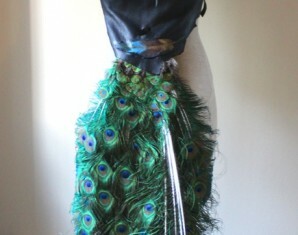 I created this as a set of sacred costuming accessories to be used in everything from drum circles to ritual drama and theater. The pictures don’t do justice to the striking contrast between the black deerskin and white fur, nor the finely detailed paintings throughout. 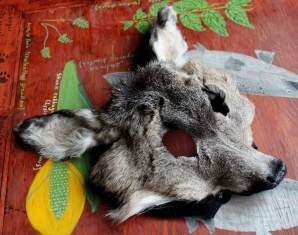 The mask (which may also be worn headdress style on top of the head) is made from a white Arctic wolf face which I repaired and reshaped and detailed. 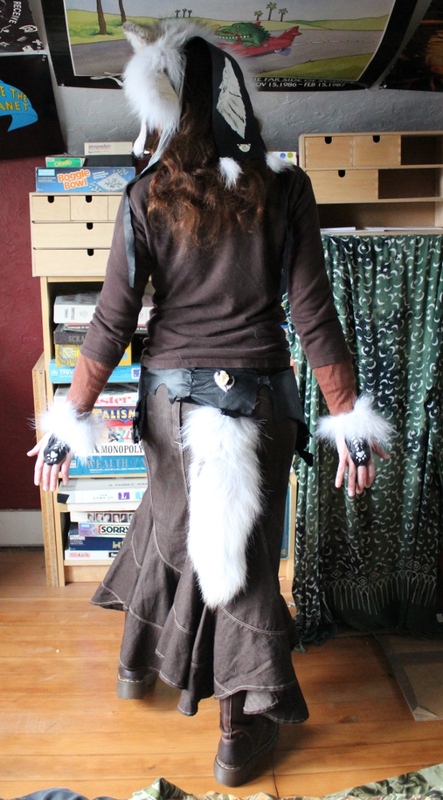 I added a panel of black leather to the back, painted with a howling wolf and decorated with a bit of wolf bone and wolf fur. The panel is flanked by two sets of white deerskin fringe that hang down on either side. 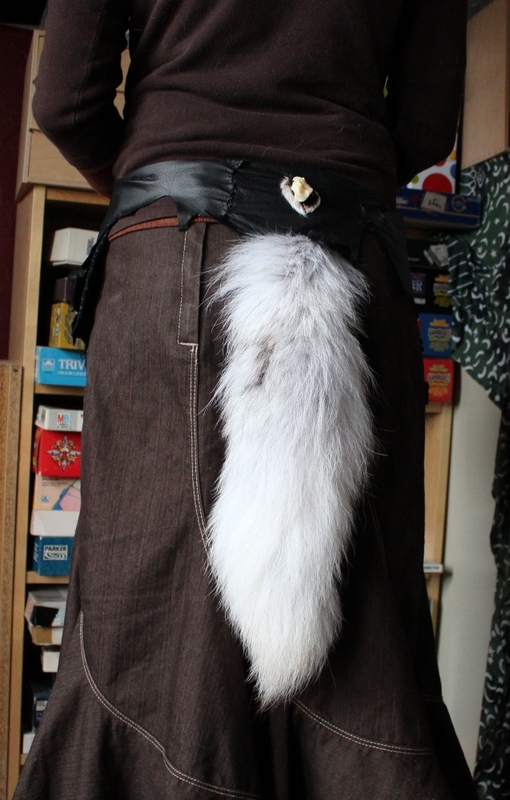 I attached the tail from the same animal to a belt that I made from panels of black deerskin, with a pocket on either side. 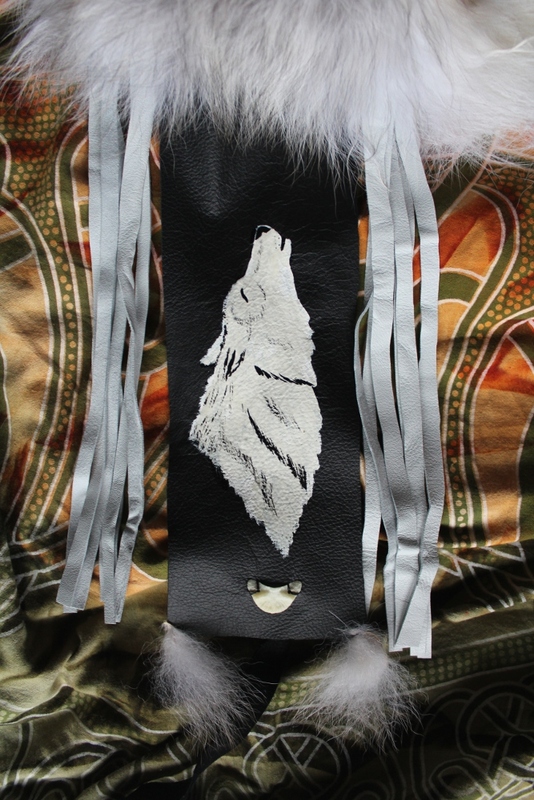 The flap for each pocket is painted with a wolf, and the back of the belt above the tail is decorated with wolf bone and wolf fur. The belt ties shut with a black deerskin braid through two deerskin-wrapped metal hoops; it will adjust from approximately 36″ – 43″ with the current braid. 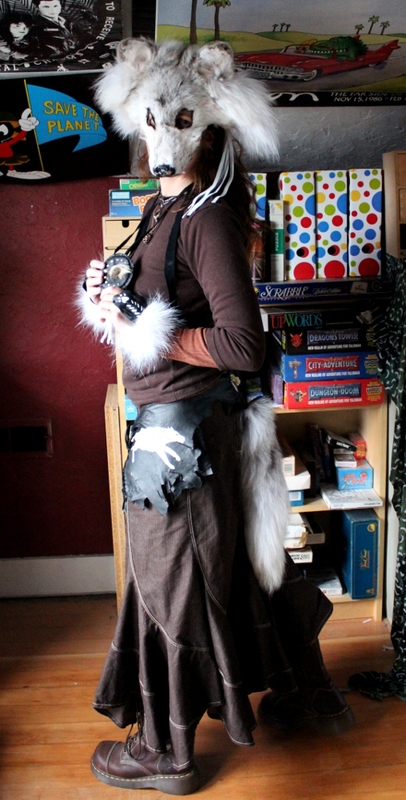 The necklace is made from leather, deerskin, a wolf claw, and acrylic paint. 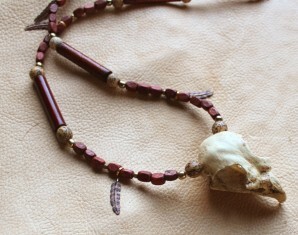 The pendant is 3 1/4″ across, and the necklace portion is 36″ long. 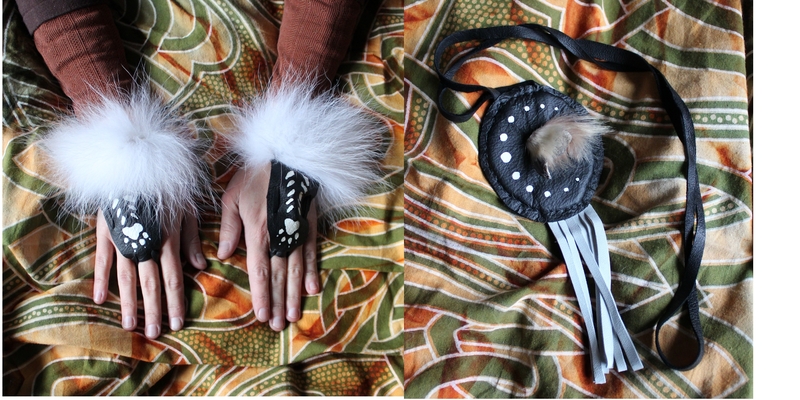 The final pieces are the handflowers, also made from deerskin and wolf fur with acrylic paint detailing. These are adjustable and will fit almost any adult hand.